Alex Francis has a unique history with Youthfront. 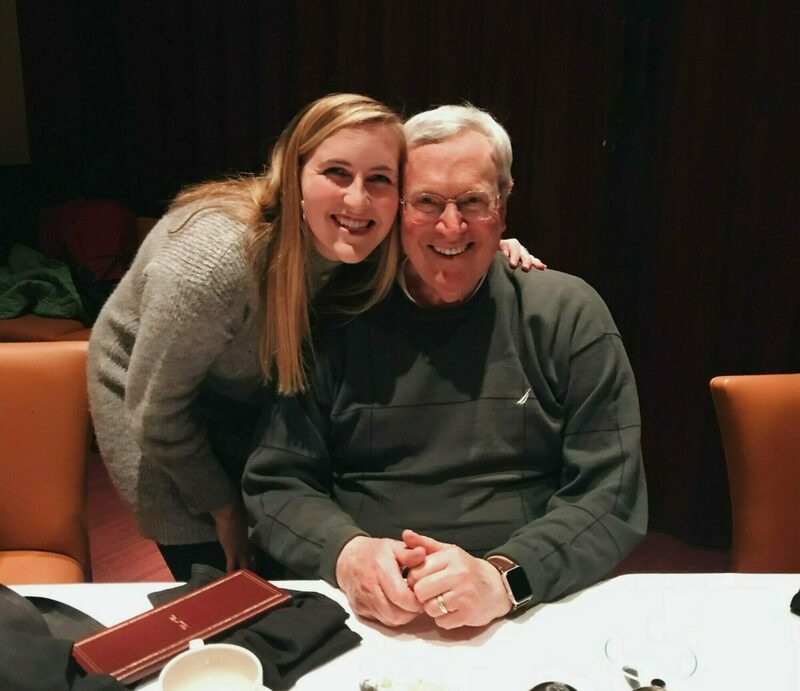 Not only has she grown up with the organization as a camper and two-year Summer Staffer, but her family also has a connection. Her great uncle is Lou Francis, chair of the Youthfront board of directors. Some of her cousins have also been on staff. We asked Alex to share her Youthfront story with us. How do you feel knowing that your family has been a part of Youthfront’s story? Youthfront has always meant so much to me. From being in middle school to being a cabin leader, Youthfront has been a home and place of growth. It’s cool to have my family members also hold those things high by their involvement in Youthfront. I love that we all want to glorify Christ in all we do through and in Youthfront. What motivates you to keep coming back to Youthfront? The way God moves at camp is so incredibly cool to watch. I love to sit back and watch Him use all the people around me; in campers, staff, and my own life. The way we all come together to serve Him and do His will causes me a joy I can’t quite put my finger on, but it’s beautiful to see and be a part of. What are some of your biggest fears or struggles? We all deal with the fear of being inadequate, especially as a college kid hoping my degree will be worthwhile enough to at least pay back my loans. I struggle with uncertainties in college, in the moments where health has dwindled in my family, and uncertainties with how my life will play out. Youthfront provides a community to help shoulder my worries. The [community] has prayed for me when my dad struggled to come back from cancer. It provided me a shoulder to cry on for the tough weeks and rejoiced with me in my moments of endurance. One of my favorite memories from the summer was when I was planning to take a trip up to Maryland but my ride ended up canceling. I asked for the other cabin leaders to pray for me while I was going to figure out a way to come up with the money. A couple days later during Spiritual Formation, they called me to the center of the group. They told me they wanted to take on my needs and presented me with cash to buy a plane ticket. These are the moments that truly represent who and what Youthfront is. [Youthfront] is a community to help you empower kids but also empower yourself. It tells you how you do not have to take on the world by yourself. It reminds you that God is with you and every single little detail, even the ones that may not matter as much to you, matter to God. People always lift me up with words of affirmation, love, and encouragement. I go away for college, so to have a group of friends at home who encourage me in all I do is absolutely essential for me. Oh I definitely think that peer pressure is real. The pressure to fit in, whether its things that are illegal or things that are uncomfortable for you, is something that is relevant in every single group that you will encounter. If someone asked you what Youthfront was, how would you explain it? A lot of people asked me this question… since I go to college in Indiana. I told them it’s one of my favorite places on earth. It’s been a place that God has constantly challenged me, stretched me, and used me. Has Youthfront helped you with any doubts about your faith? This past summer at Youthfront, God taught me how to pray boldly. 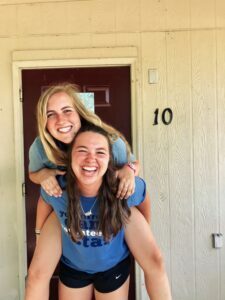 I’ve been a cabin leader for two summers and never had a girl in my cabin accept Christ while at camp, which I was okay with since I was honored to be used in other parts of my girls’ journeys. However, during one of my weeks at camp, before the campers came, I decided to ask God if He would allow me to help bring one of the girls in my cabin to Christ that week. After the first couple days, it became clear to me that most of the girls in my cabin had already accepted Christ or had a close relationship to him. There have been things that I have been praying for years that I haven’t heard answers to in the way I’ve liked. God, that week, let me know He was still listening and always was. The kids that I get to know as well as the community that I get to serve. What would happen if Youthfront didn’t exist? My relationship with Christ definitely wouldn’t have been where it is now. It’s a place of growth. It’s a place to learn. It’s a place to belong. I’ve learned what it means to truly listen and come alongside others instead of trying to offer my own advice. I’ve learned what it means to let God work instead of trying to do everything on my own. Is your family generationally connected to Youthfront?